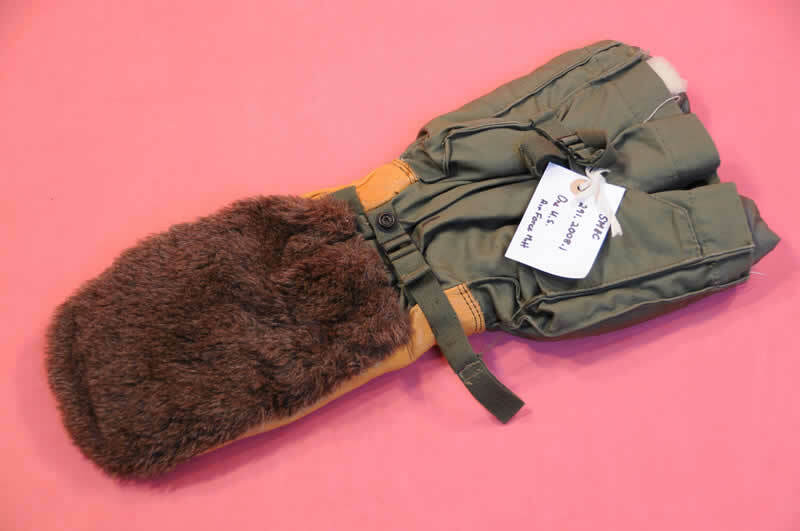 U.S. Air Force mitt. Leather hands with fur backing. Nylon arms with removable nylon and fleece lining. Two canvas tightening straps.